Impeach IRS Commissioner John Koskinen! Failing to comply with a subpoena for evidence resulting in the destruction of 24,000 Lois Lerner emails. Failing to testify truthfully and providing false and misleading information to the Congress. Failing to notify Congress that key evidence had gone missing. 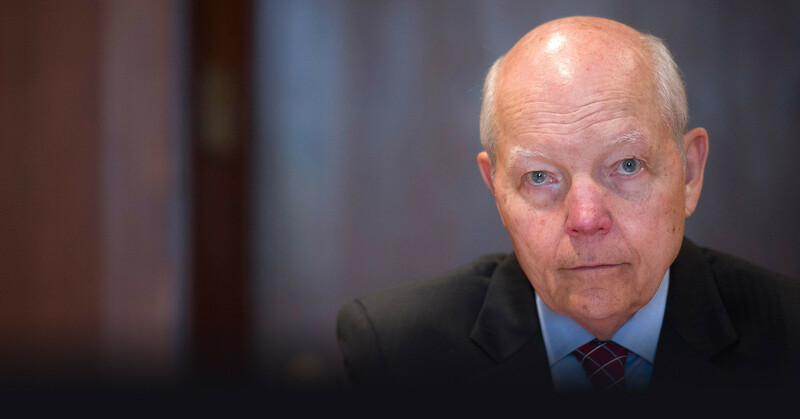 John Koskinen has done everything in his power to protect the IRS from its outrageous targeting scandal. Now, the Obama Justice Department has announced it will not press charges. So, it's time for Congress finally to stand up for the American people. Thank you for signing the petition to impeach John Koskinen. Now, take your support one step further with a donation. We need to flood Congress with our petitions to ensure that these articles of impeachment are passed. Without your voice, Koskinen will remain protected by Obama’s corrupt justice administration. No one in Washington is holding him accountable for his crimes.